Carbon Monoxide (CO) is the “invisible” killer. Carbon monoxide is a colorless and odorless gas. Every year more than 100 people in the United States die from unintentional exposure to carbon monoxide associated with consumer products. To read more about CO poisoning, and what you can do at home to prevent it, read the literature below from the U.S. Consumer Product Safety Commission. The New York State Department of Health has issued guidelines for the Safe use of Suplimental Space Heaters. The informational brochure can be downloaded for printing. The New York State Department of State has issued guidelines and gathered resources on Fire Safety in the Home. The information can be downloaded for printing. 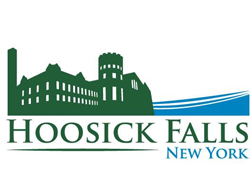 Building Permit Applications may be obtained from the Office of the Village Clerk, 24 Main Street, Hoosick Falls. Office hours are from 8:00am – 3:30pm Monday – Friday. The phone is (518) 686-7072. Part 444 of title 19NYCRR sets minimum standards for administration and enforcement of the Uniform Fire Prevention and Building Code. Necessary repairs which do not materially impact structural features. Small non-commercial structures not intended for use by one or more persons as quarters for living, eating, sleeping or cooking – i.e. a small storage building less than 150 square feet. Section 444.3 requires Certificate of Occupancy or Certificate of Compliance for all work for which a building permit is issued and for all buildings which are converted from one general occupancy classification to another. Appointments and information may be obtained from the Building Inspector. The Application fee is $15.00 for a building permit. All rental units must be inspected and given a Certificate of Occupancy (CO) by the Building Inspector prior to new tenants moving in. Even if a rental unit has passed inspection for a previous tenant. It is a landlord's responsibility to request an inspection by the Code Enforcement Office prior to new tenants occupying a rental unit. The Village completed an update of our zoning laws and regulations in 2017. For ease of access and search functionality, the complete code can be viewed at the link below.